Working with or around radiation provides a host of concerns, and keeping track of occupationally exposed dose is one of the most fundamental priorities. The primary tool for this has long been the dosimeter, from dose of record badges to real-time electronic dosimetry. Since their introduction, Electronic dosimeters have gained widespread adoption throughout the nuclear power industry along with various militaries, civil defense agencies, and health care providers. Over time they have proven to be very effective at giving the wearer constant awareness of their accumulated dose and dose rate, often providing a significant reduction in the exposure they would have received during the course of their jobs. However, as with any other piece of electronics, the opportunities for improvement or expansion abound and are constantly necessary. When considering new features, designers are often limited less by technical constraints than by market forces and customer needs. When it becomes possible to put a radio, additional detectors, or a variety of other features into a dosimeter, it's important to consider that not everyone needs these things. Also, if they do, they may need them only some of the time, for some of their workers. This has often led to the need to maintain a diverse inventory of several different types of dosimeters, which can be costly and frustrating, both for the initial purchase, and for upkeep over time. 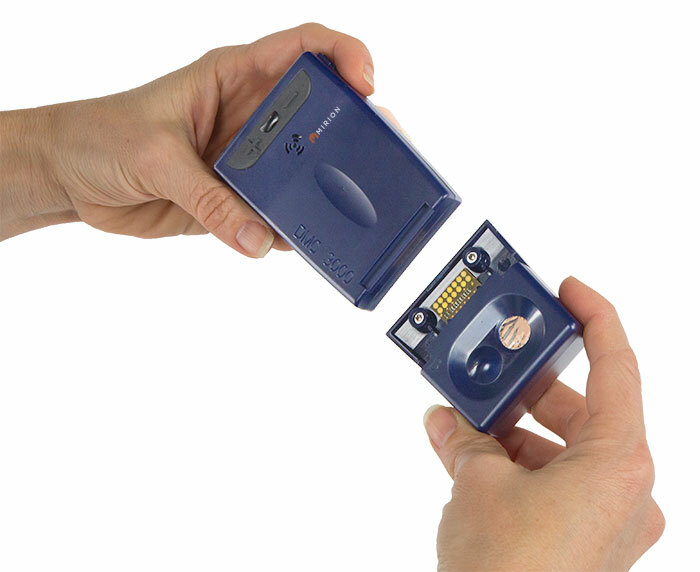 For our newest electronic dosimeter, the DMC 3000, we wanted to do something different to address this issue. The ideal situation for the manufacturer, would be that everyone just has the same dosimeter, with all the same features. But this isn’t feasible; either someone would be paying extra for additional features they don’t need, or they’d have a dosimeter lacking some of the extra features they do need. Our solution was to take a modular approach to electronic dosimetry. Essentially, the core dosimeter remains the same, with the same operating characteristics, the same communication protocols, etc. It is then expandable with a variety of modules that add specialized functions that fit a special need, or are only occassionally used. The first module that was designed and released was the Telemetry Module. 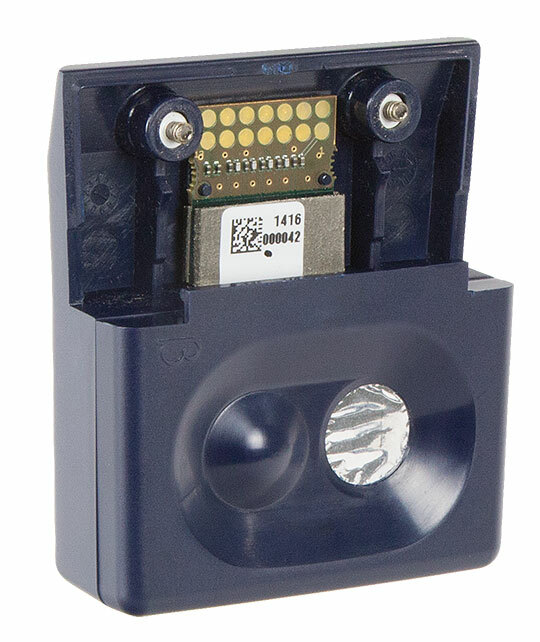 Equipped with a WRM2 radio (either 900MHz or 2.4 GHz) and a Bluetooth interface, the Telemetry Module lets organizations with an existing WRM2 telemetry system connect the dosimeter to the network, allowing dozens of workers’ doses to be monitored remotely at the same time. The Bluetooth interface also provides for additional expanded functionality, such as a vibrating wristband that can alert the wearer of alarm conditions in high-noise areas, as well as a heart rate monitor. Available today are the Beta Module (Shallow Dose/Beta) and Neutron Modules. The Beta Module allows detection of beta radiation in addition to the usual gamma, perfect for situations where shallow skin dose is a concern. It is especially useful for the medical community, where a wide variety of beta emitting isotopes are often used in nuclear medicine. 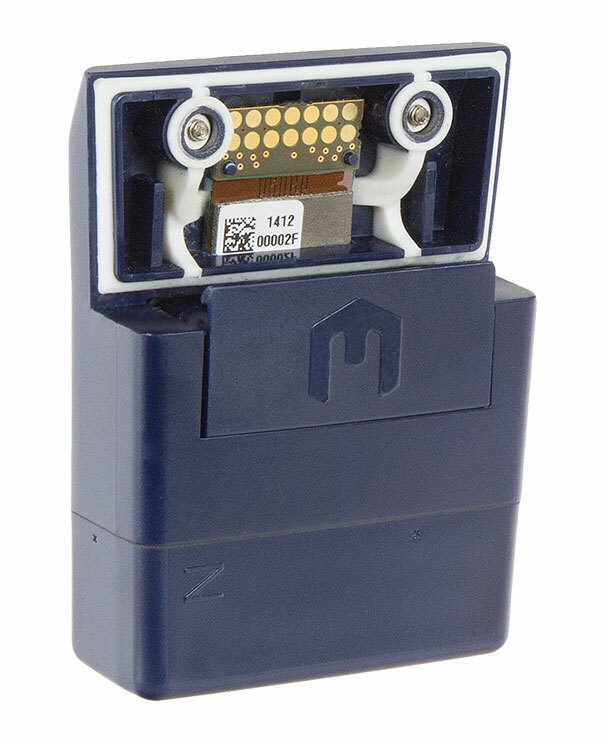 In addition, the Beta Module is also well suited for many industrial applications. The Neutron Module similarly expands the DMC 3000’s detection capabilities to include Neutron radiation. Neutron radiation is typically found in nuclear power settings and potentially also a concern for Military and Civil Defense agencies should they encounter any Special Nuclear Material. This approach provides the flexibility to grow and expand the capabilities of your electronic dosimeters. New modules with additional uses are possible, and far easier to develop than an entirely new instrument. This benefits the end user, as they don’t have to buy totally new instruments for each new scenario. Another major advantage to this approach is a simplification of maintenance issues. If a component on either the dosimeter or the module is damaged, only the part that is damaged needs to be repaired or replaced. This provides a savings, not only in the monetary cost of repairs, but also with regards to the fact that the whole combined unit isn’t out of service. A spare module can be used, or a spare dosimeter, to keep the remaining half of the paired equipment in service. The history of radiation detection, and especially with electronic dosimetry, has often seemed like a steady increase in complexity. This was necessary, because so much more was possible at each stage than had existed previously. But we’ve decided to take a step in a different direction, and offer another path. By offering a highly customizable solution, electronic dosimetry doesn’t have to be excessively complex, or expensively complex. Instead of needing to purchase all the dosimetry technology that’s available, you can simply have only the dosimetry system you need.